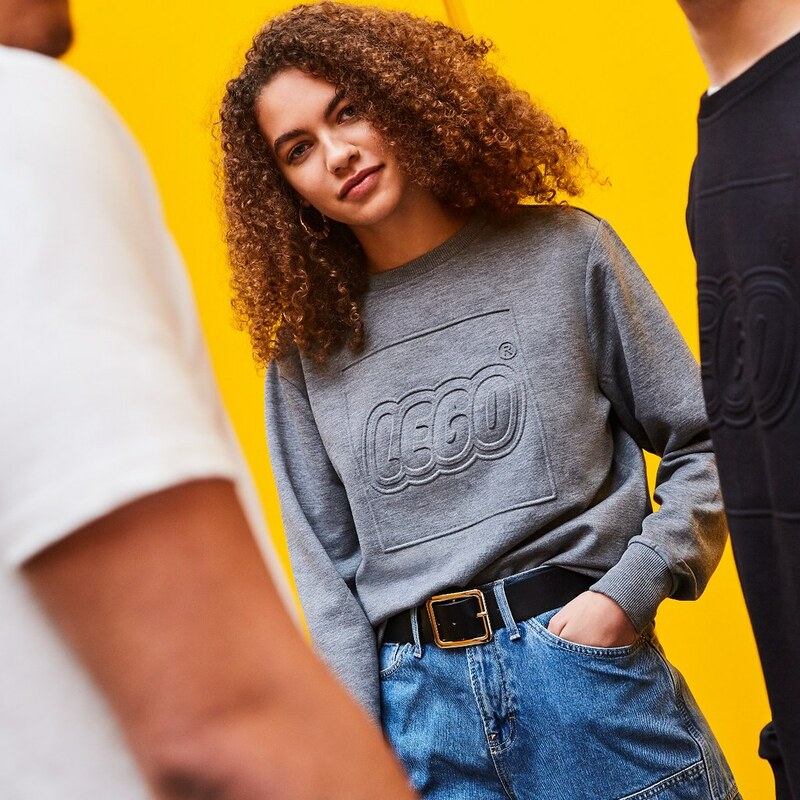 LEGO has teamed up with Snapchat to launch a limited edition adult-wear collection. 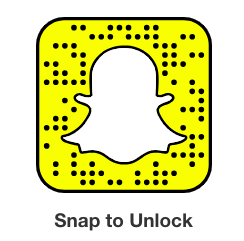 The clothes are being sold via an augmented reality store exclusive to Snap that users can access through a Snapcode. And, today, Snapchatters can visit a pop-up store in London that's completely empty except for a large snap code on a plinth. No, I didn't understand any of that either so I asked my daughter Alice to explain and demonstrate. It's actually quite cool as you'll see after the break. So... you fire up Snapchat and scan this code which applies a filter for an hour. 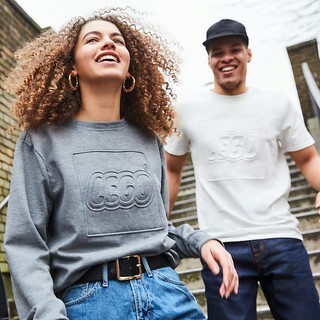 You can buy sweatshirts, T-shirts and caps, all with a discreet embossed LEGO logo. You'll need deep pockets, though! The online store at https://limited.legowear.com/ can only be accessed on mobile devices, it seems. The garments, made by Kabooki, can be shipped to the UK, France and Germany. "No, I didn't understand any of that either" You read my mind! Is there not just a Web address we can visit to buy stuff? I don't want to sign up for and download another social media app just to decide it's too expensive! Really interesting, I would like to have one if it wasn't limited. 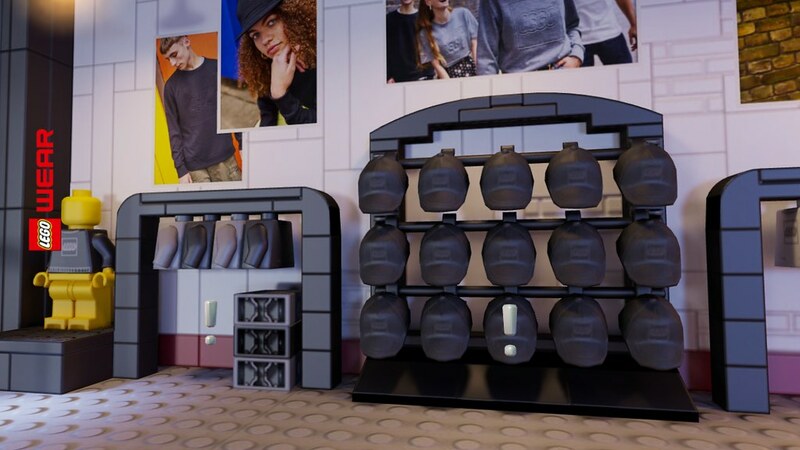 There is a lot of possibilities of clothing aimed at the young adult market using the Lego brand and themes. As much as I like Lego, I don't believe in advertising companies or brands on my clothing. 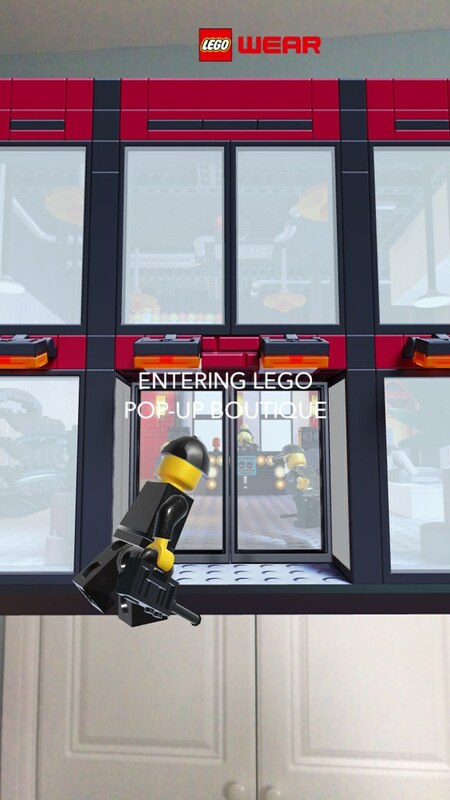 Turns out the store can be accessed without needing Snapchat but only on mobile devices, it seems: https://limited.legowear.com/ . Lego are you crazy? 59,95€ for a t-shirt?! Yawn. Last gasp of Tryhard Snapchat before it goes bust. I wish there was a dislike button. Well this seems fitting... Limited Edition over priced clothing now. I’m surprised they don’t have exclusive Brickheadz as a bonus. They’d sell plenty of appropriately priced adult T shirts and Sweatshirts, but no, they’ve gotta be exclusive and limited. you were not kidding about needing deep pockets! Or just buy some t-shirts from Uniqlo for $10-15. Actual stores. Actual website. Actually makes sense. Limited edition is the 2018/2019 trend? Man this makes me feel old and disconnected with the Youff. Thanks but I've give this one a miss, Lego. So do you have to actually go to london to get the stuff? 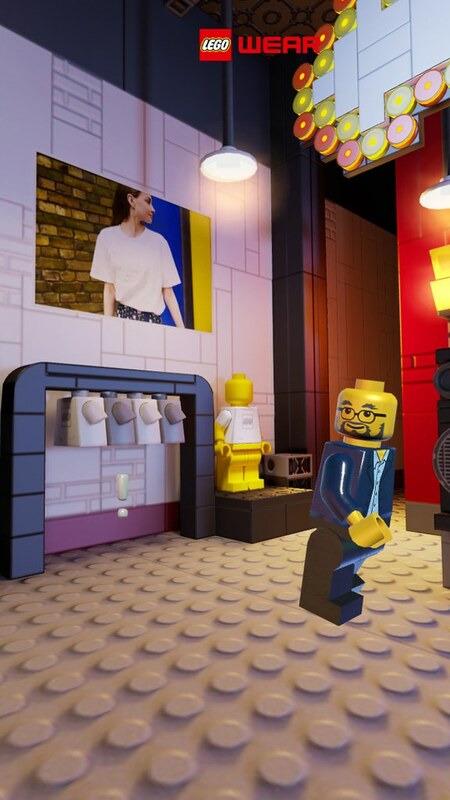 Might be cool if the augmented reality let you create the store in any room you went into. As is though, kidna seems like a bit of a hassle for such a simple product. I was pretty much the only kid in high school that didn't have Snapchat so maybe my understanding of the app is flawed, but isn't it's only real function to take and edit pictures? Wouldn't it make more sense to partner with something like YouTube that actually has strong business capabilities, or create/license with a new app specifically for augmented shopping? Go to primark. They have Lego T-shirt’s for 6 quid. What a rip off. Just think of all the Lego you could buy for the same price as a T-shirt and jumper. If LEGO has an ongoing business deal with Snapchat starting up, I'm disassociating myself from them. A while back a coworker of mine came in wearing a Ramones t-shirt. I've known her for years so was kinda surprised by it. When I complimented and inquired she said she doesn't actually know any of their songs, just thought the shirt looked cool. The vr may be interesting to see but not enough for me to bother jumping though the hoops. Also, naked from the waist down mannequins seem an odd choice. We'll overpay for the bricks but not the clothes, sorry. I actually kinda like them. But yeah, not for that price I'm afraid. So if you're a dinosaur like me who doesn't have a smart phone (nor do I want one) and isn't on social media (don't want to be) then I'm simply unable to obtain an item I may want? I'd love one of those shirts but after reading the comments, wouldn't pay that much for a T-shirt. Thank you to @David1985 who posted a link to a proper website carrying affordable clothes I can actually access and afford. Majorly hoping for a May the 4th discount! 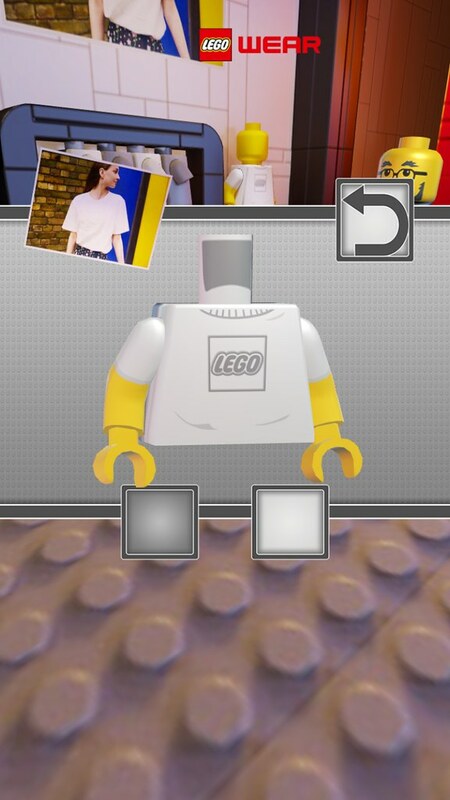 Give me an upscaled https://brickset.com/parts/4549942/mini-upper-part-no-1479 t-shirt and we'll talk. Considering they are using the words ``"adult" and "snapchat" in the same sentence, this advertising company obviously didn't do their research and havn't got a clue what they are doing! Another swing and a miss from lego. So many misses lately. Ugh. Seems a bit conflicting to have a range of clothes aimed at adults, with technology and terminology aimed at much younger people. I’m in my 20’s and even I rolled my eyes, and struggled to understand! Very poor marketing. First, I don't think either of LEGO's main markets use it care about Snapchat (I'm in my early 30s, don't care about it). Second, virtual or enhanced reality is still far away to be seen as something other than a gimmick. Third, and last, I already buy expensive stuff from LEGO, I am not interested in spending $65 on a t-shirt, even if it looks cool. No rant, but come on, LEGO! Edit: LEGO's main markets IMO are kids and adults, not teenagers or people in their 20s, which seem to be Snapchat's main demographic.